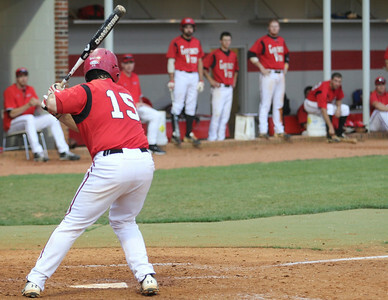 Number 15, Dusty Quattlebaum, at bat. 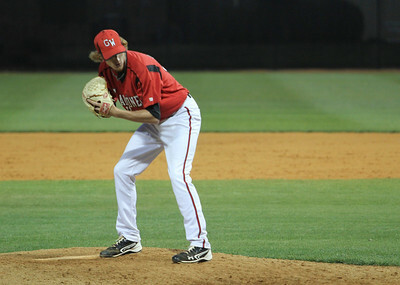 Number 15, Dusty Quattlebaum, hits the ball. 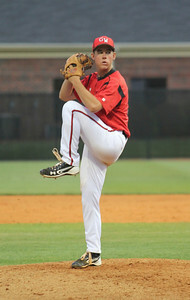 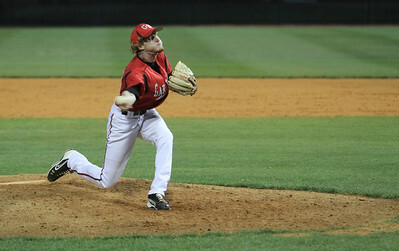 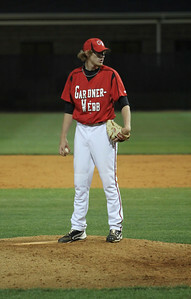 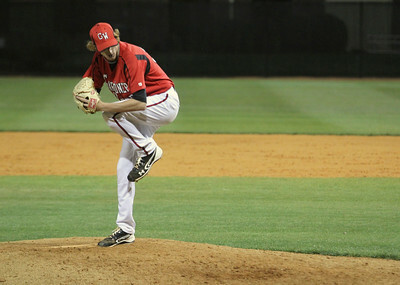 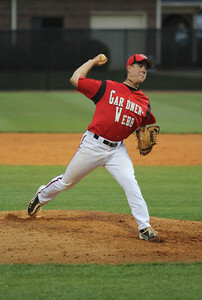 Number 10, Andrew Barnett, pitches the ball. 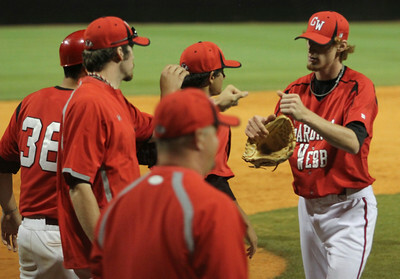 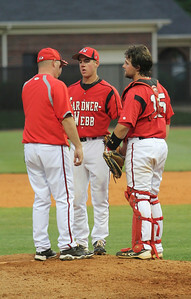 Andrew Barnett and Dusty Quattlebaum meet with a coach on the mound. 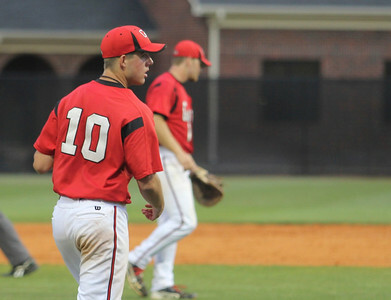 Number 10, Andrew Barnett, checks the runner on second. 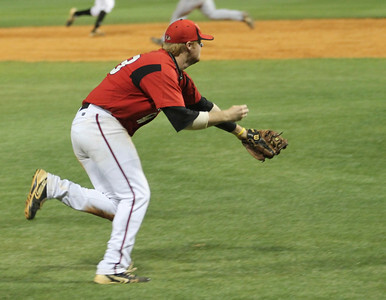 Number 15, Dusty Quattlebaum, catches the ball. 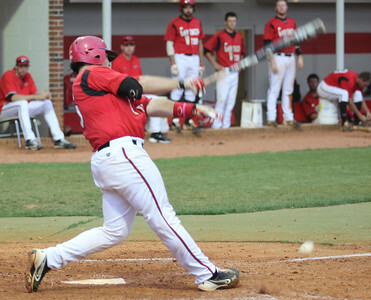 Number 18, Scott Coleman, hits the ball. Number 21, Adam McFarland, leads off first base. 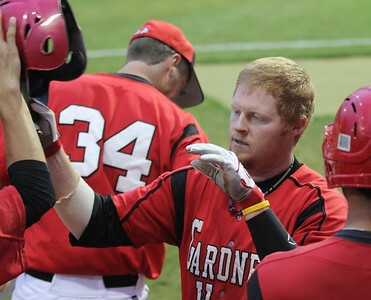 Teammates congradulate Brad Collins, 33, for a homerun. 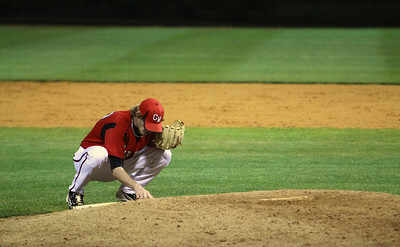 Number 24, Danny Yelverton, looks for the sign. 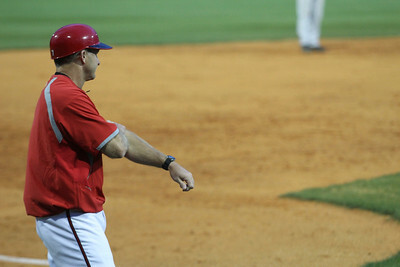 Number 24, Danny Yelverton, runs to first base. 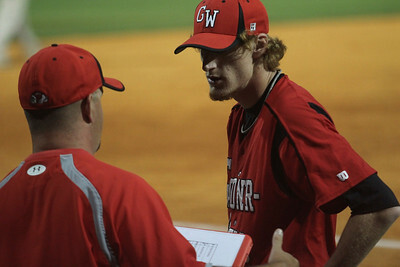 Gardner-Webb Coach gives the sign. 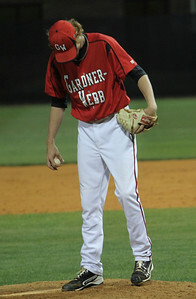 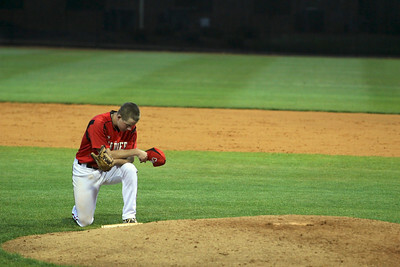 Number 10, Andrew Barnett, kneels at the mound before the start of the inning. 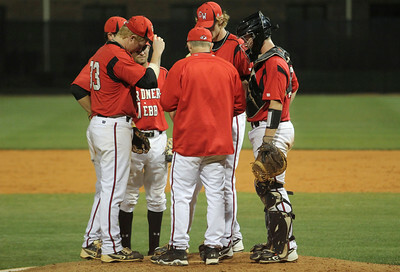 The infield huddled at the mound. 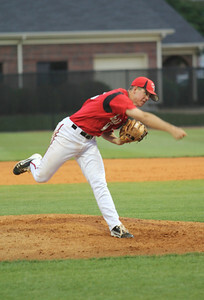 Number 37, Adam Izokovic, pitches the ball. 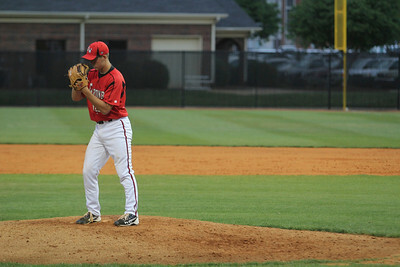 Number 37, Adam Izokovic, on the mound. 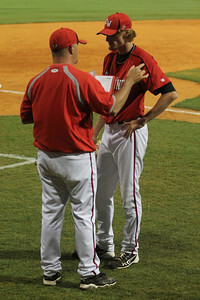 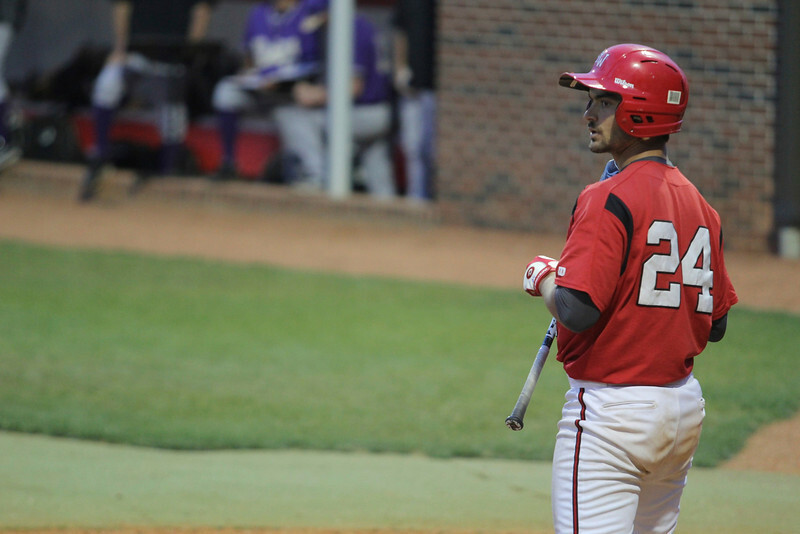 Coach talks to number 37, Adam Izokovic, in between innings. 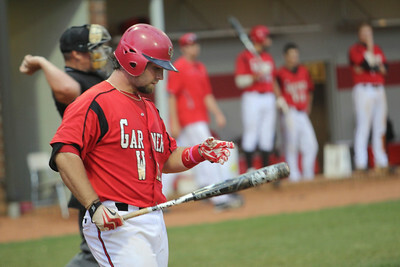 Number 37, Adam Izokovic, writes in the dirt before the inning. 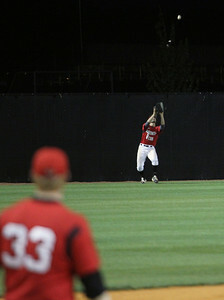 GWU outfielder sets up to catch the fly ball. 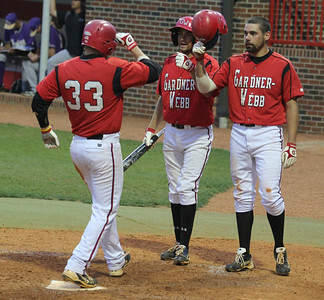 Number 33, Brad Collins, runs to catch the bunted ball. 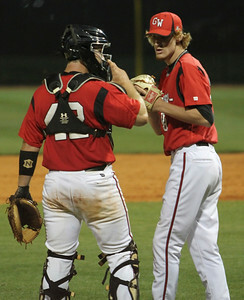 Number 42, John Harris (left), and number 37, Adam Izokovic (right), talk on the mound. 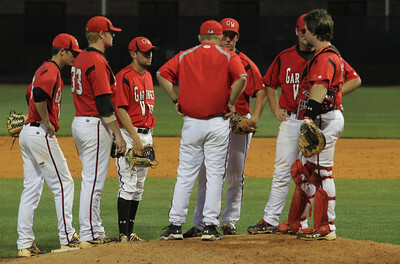 Teammates congratulate Adam Izokovic, 37, on a great inning.